Mayor Michael Bloomberg has joined the list of New York politicians who will be remembered for their masterful no-nonsense handling of overwhelming disasters: Giuliani and Pataki preceded him with their handling of 9/11 and now Bloomberg and Governor Andrew Cuomo faced by the unprecedented inundation of New York City by superstorm Hurricane Sandy will follow. . . .
. . . Bloomberg confronted the public, reading out status reports with cool, just-the-facts-you-need in-a-disaster efficiency that will earn him positive recognition, except when he just couldn’t help himself, and strayed off course. In the course of two back-to-back news conferences on the extraordinary disaster accompanying hurricane he twice embarrassed himself, each time taking time out from the business of the hurricane relief efforts and reports on deaths to swing into promotion for the so-called “Barclays” basketball arena (which he has started calling a “stadium”- does he think a full scale stadium could have been squeezed into the neighborhood?). The first time, Tuesday evening, Bloomberg told the public he was looking forward to attending a Nets game at the arena the very next night (taking an early break from overseeing response to the disaster). The second time, a scant few hours later on Wednesday afternoon, Bloomberg reversed himself, saying that the basketball game he hoped would be held Wednesday night would be postponed at his recommendation. Bloomberg recounting that a certain news service (his own) says the the Nets game he plans to attend will be held as scheduled despite the hurricane disaster. 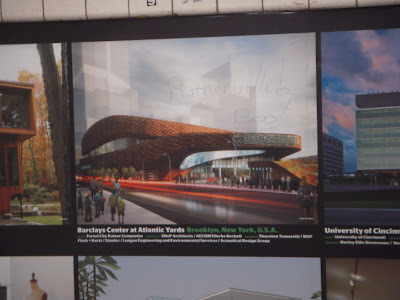 Notably, Bloomberg’s tongue doesn’t trip at all over the “Barclays” name for the arena despite the scandal associated with the bank after which we have now named portions of the city. Today at 3:14 P.M. Bloomberg completely reversed himself. (That is, if saying you hope a game won’t be cancelled and that you will take time off from dealing with the disaster to go to it and then recommending that the game instead be cancelled amounts to a complete reversal?) Here is what Bloomberg said after speaking about how this Halloween parents should be careful to ensure responsible trick or treating and reminding everyone that the Halloween parade had been postponed (because police officers have to do other more important things right now). 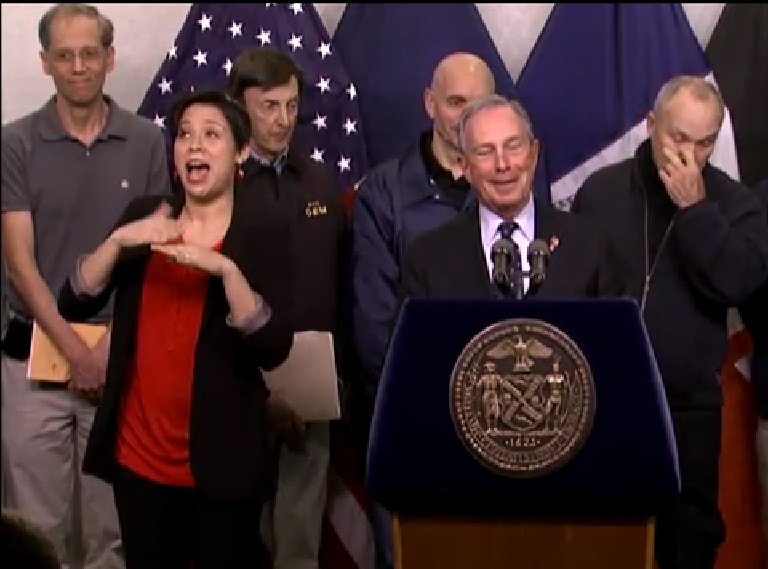 Bloomberg had already announced on Tuesday evening that the Halloween parade would be postponed. At my recommendation the NBA has canceled tomorrow night's game between the Knicks and the Nets. It was going to be the first Nets game in the new stadium. Now the first Nets game will be Saturday at 7:30 at the Barclays Center. The Nets play the Toronto Raptors and this game will be rescheduled. The NBA will be working with the city to provide extra bus services for Saturday night because the subways may not be back after that. There is plenty of mass transit that's one of the beauties of the Barclays Center. Unfortunately, it just . . we didn't count on Sandy. Hopefully, Sandy doesn't come along very often. I am sorry about the game. I was personally going to take my daughters and Diana. We were looking forward to it. It's a great stadium. It would've been a great game, but the bottom line is there is not a lot of mass transit. Our police have plenty of other things to do. I know lots of fans are going to be disappointed. And the players are disappointed. You should know the players wanted to play this, but . . ah. . I did talk to the NBA and recommended that . . ah . . . Asked them to . . uh . . cancel the game. It's all up to me. Bloomberg then went on to say that the city's annual marathon being held on Sunday (when most of the power will would be back on) was not being canceled. Atlantic Yards Report has covered this already and also created an edited videos mashup of Bloomberg’s two mid-hurricane disaster press promotional statements about the Nets games below: Wednesday, October 31, 2012, Bloomberg, with no chagrin about reconfirmation yesterday of Brooklyn Nets debut, announces inaugural game against Knicks postponed "at my recommendation"; NBA expresses sympathy with "all those affected"; CEO Yormark does a 180-degree turn. When Bloomberg said “cicular” he probably meant “cyclical.” When he said “secular” I thought he probably meant having do to do with day-to-day human activity rather than the divine (not what it actually means- sort of like “secular humanism”) instead of its more obscure meaning of “occurring or persisting over an indefinitely long period.” Now, I’m not so sure but in any case it seems clear he meant to say that while he believes climate change is clearly upon us he was irresponsibly dodging endorsement of the scientific consensus that the change in climate is caused by humans. 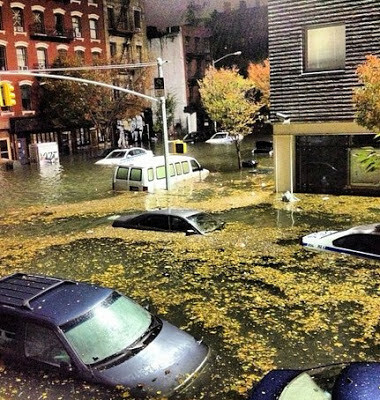 On New York’s Being Prepared (Really Prepared) In Advance (Really In Advance) For Storm Surges. . . And Wondering About NYC Tunnels. . 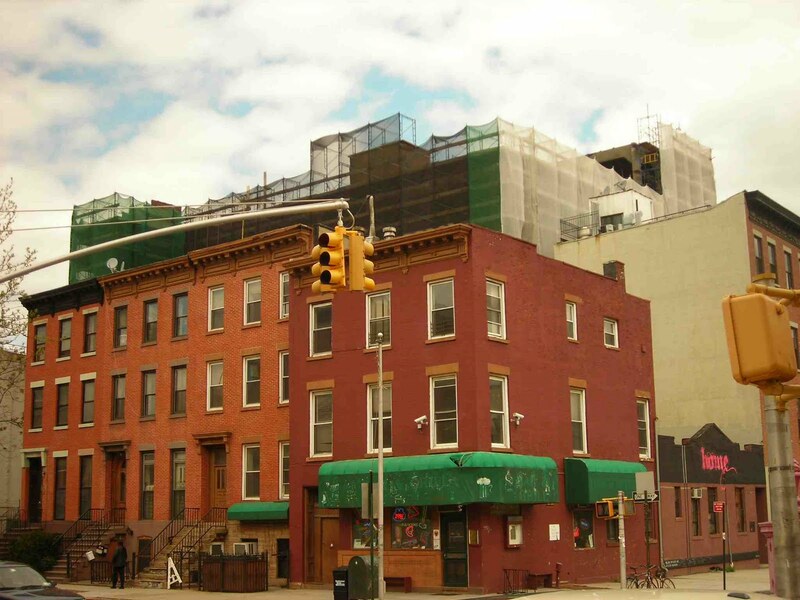 Above, a photo of the East Village, Avenue C and 8th Street, that's all over the internet. The closest I can figure its provenance is here. You don't need to imagine the condition of the subways beneath the streets because there are plenty of photos showing up. Given the onslaught from Hurricane Sandy it seemed appropriate to remind readers of a prior Noticing New York article that was partly about the need for New York City to be prepared (really prepared) with better infrastructure for storm surges: Wednesday, September 29, 2010, Brooklyn Tornadoes and a Cool-Headed Appraisal of Weather Weirding in New York. As I listened to talk of the storm’s approaching surge I started thinking about something I really don’t know much about, which is the buoyancy of New York City’s subway and other metropolitan region tunnels and their general vulnerability when waters surge over them and the sediment burying them. Buoyancy can be a concern when constructing tunnels. Sometimes they are weighted down with gravel so they sink. Making tunnels deep enough is a concern when the harbor are dredged. The harbor and the tunnels are just deep enough for some big ships to pass. Sometimes there is concern about the effect of tides on the surfaces of underground tunnels. Locked inside during a long storm, one’s mind is inclined to wonder. Perhaps a reader who knows more about the vulnerability of buried tunnels than I do will venture some information. Troubling the MTA with my curiosity is the last thing I want to do as they have been preoccupied with plenty of other things since I began my wondering in this regard. Notwithstanding what I don't know about the tunnels' vulnerability to surge, my earlier post set forth at the beginning of this post links to some authoritative reports with advice about how New York should be preparing for a future that experts believe will involve more storm surges than before and surges that are more severe. PS: I did not hit the `publish' button to have the above go up on the internet last night before my internet went down. Signing on the internet today I see that people are passing around a prescient 2005 article by Aaron Naparstek about how New York should foresee a big storm: "The Big One," July 27, 2005. The other thing I am hearing now that the storm surge has receded is that last night the waters of the Hudson and New York Harbor reached their highest recorded levels in 200 years. Were harbor waters ever higher than that? Maybe and maybe not: We don't know because no records were kept before that. Only a year ago, with Irene, we had a large storm that was in many respects substantially similar to this one. Though its damage wound up being delivered differently, with some minor alterations the Irene damage delivered could have been very much the same . . . .
. . . Could this become the pattern of a new normal? 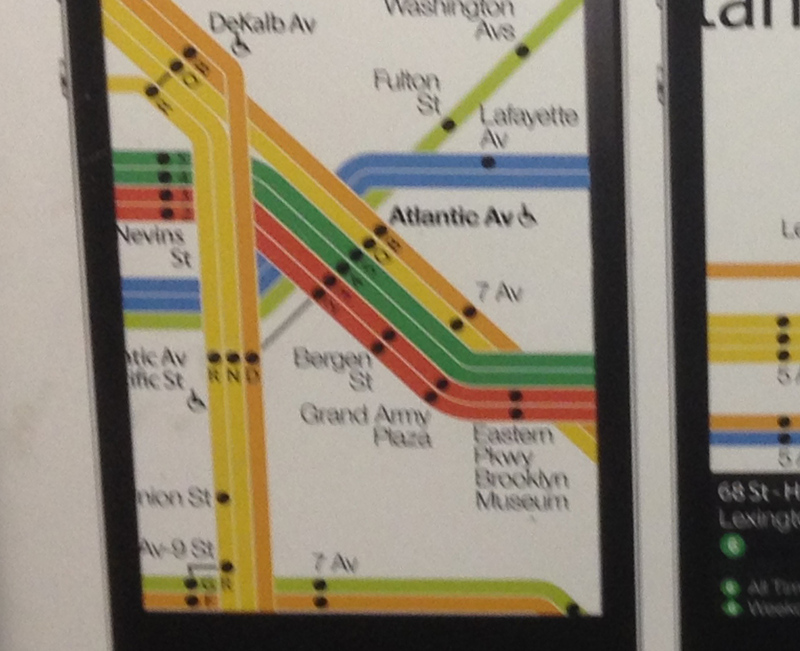 MTA's ad for new map app that is sans "Barclays"
Sometimes when you allow yourself to hope for things you might actually see what you are hoping for come true! In general, the MTA should cut way back on its dismaying efforts to max out advertising in the system. The naming of subway stations after corporations, most conspicuously represented at present by the poorly handled naming of subway hub stations after “Barclay” Bank for which the MTA got a mere far-below-market pittance, is just the best current example of what is wrong. Advertising revenues supporting the MTA system are absolutely minimal: More than 99% of the system is paid for by sources of funds other than advertising. See: Monday, September 17, 2012, NY Times Runs 3rd Article Mentioning That, Given Scandal, Promotionally Naming Subway Stations & Arena “Barclays” Is Problematic. Close up on missing "Barclays"
In an ad for the map app the MTA ("The Weekender . . to go") chose to prominently display two important subway stations in the system. Probably because they are so important they chose to display the stations renamed “Barclays” but (because the renaming is controversial or awkward?) they showed those stations dropping the “Barclays” name! Hooray! Let’s hope Barclays gets eliminated everywhere form the public system in the future: It’s such a drag to be riding a train and then hear an announcement. . “Next stop. .. .” and then hear that despicable “Barclays” name. Notably, a New York Times article covering the introduction of The Weekender web site (distinct from “The Weekender” map app, covering service changes and expected delays) chose, albeit it was a year ago, to use a visual that showed the same deletion of the “Barclays” name: See below. 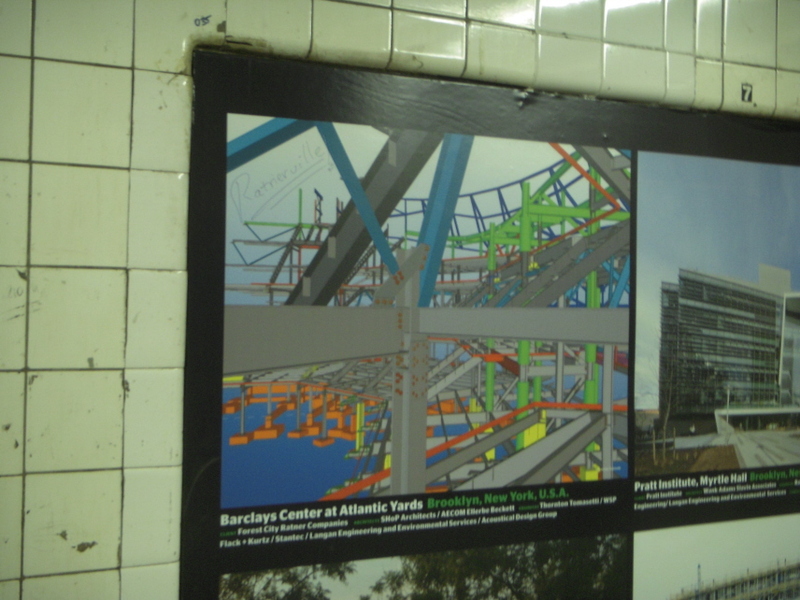 Will Ratner sue the MTA for a breach of contract? If so it will be interesting to see what they sue for: A small proportion of the infinitesimal $200,000 per year amount they paid for the subway station rights. . . or for the actual “benefit of their bargain” which at the time the MTA handed them the naming rights deal was valued at one hundred times that amount? One more thing in the vein of things one might hope for in the MTA subterranean environment, also in the context of advertising that appears on system walls: A year ago I wrote about how the AIANY (“American Institute of Architects New York”) had plastered the images in the A Train subway entrance corridor under the IFC Center with images that included promotional visuals of the “Barclays” Center and the CitiField baseball stadium. I referred to it as a “Hall of Shame” of subsidy grabbers and provided what I viewed as my own corrective images. See: Sunday, November 6, 2011, Rogues Gallery: The AIANY (“American Institute of Architects New York”) Subway Corridor Posters Under the IFC Center Showing “Urbanized”. One of Noticing New York's corrective images. More in NNY's 2011 article. 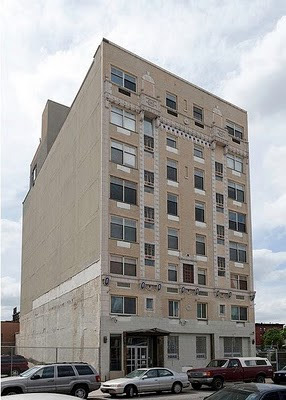 So here is more good news: This year a new set of updated AIANY architectural images are back in that corridor and, AIANY perhaps thinking better of it this time, has eliminated from the panoply any such obviously controversial subsidy-grabbing projects harmful to the public. See 2012 images below. 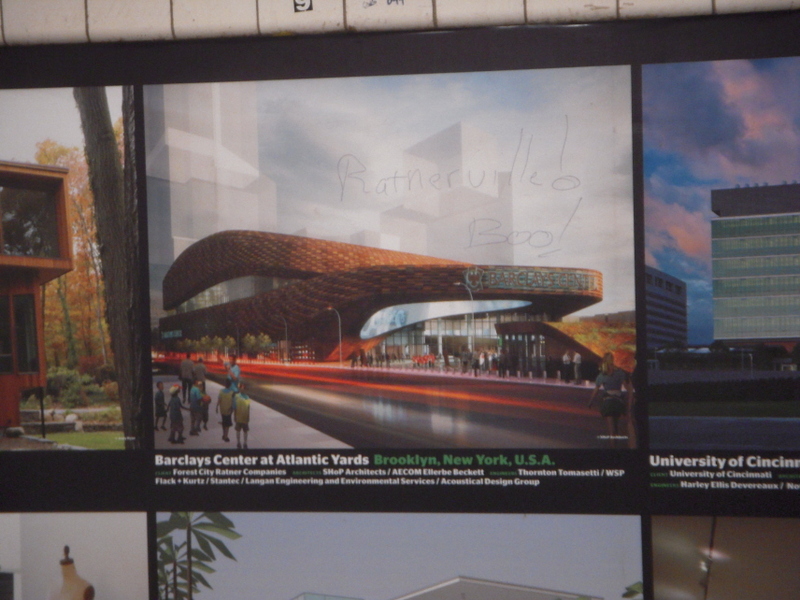 Planning on shunning the Barclays (LIBOR scandal) Ratner/Prokhorov arena? Here are some alternatives if you are interested in good music. 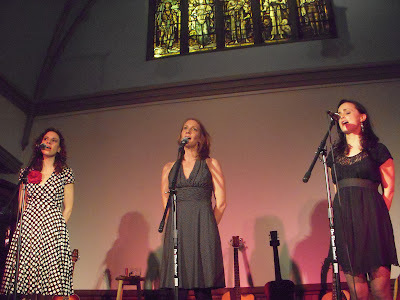 I I rank the perfect blending harmonies of Red Molly extraordinarily high as an experience, having seen them at a previous First Acoustics evening. I wrote about them and songs they perform like May I Suggest” (by Susan Warner) together with more about the offerings this First Acoustics season here: Wednesday, September 19, 2012, Alternatives To The Scandalously Spawned, Scandalously Named Ratner/Prokhorov “Barclays” Center: Protest & Locally Nurtured Concerts. I also have my eye on Red Molly’s Abbie Gardner. In the above post I wrote about her “My Craziest Dream” album of American Songbook music, with her father providing some backup and performing his own “Staten Island” composition. I see that Gardner, in her own right, has another Unitarian-hosted “swing dance” coffee house appearance (“Common Ground” Community Concerts- Get it?) with the “The Craziest Dream Band” up in Dobbs Ferry, New York coming up on November 3rd. (South Presbyterian Church, 343 Broadway, Dobbs Ferry NY) I wonder what pleasures are in store and if her father will be there backing her up? The multi-membered Union Preservation Society opening Saturday night for Red Molly sound like they can provide some really raucous fun but they also have a sweet, simple Shaker song demonstrating their wares on their website. 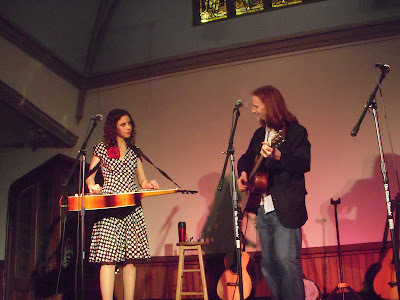 The previous First Acoustics concert, the beginning of the month was Buskin & Batteau and Freebo. Freebo is fantastic at relating to the audience and I liked the fact that he also ventured to talk politics- politics I took a shine to. Still when I talked with him during the intermission he said he was quite conscious about how the core to his work is a message of inclusion. Buskin & Batteau go way back with a solid reputation so I don’t need to burnish it more. . .
. . . I found myself fascinated watching percussionist Marshall Rosenberg backing them up, mostly playing the drums with his hands, occasionally brushes. What was most fascinating is not what Marshall played- it was what he didn’t play. He had all sorts of minimal effects and was prone to use them minimally. I talked with him afterward and he said he was incredibly mindful of the importance of the “spaces” in the music. Watching him involved almost Hitchcockian suspense: You could see Marshall’s eyebrow rise. . . you could feel something was coming. . . whenever it came it would be perfect . . . what would the perfectly-picked punctuation be?. . . in his intent look you knew he knew exactly . . and then Gloriosky! Something so minimal and just right! 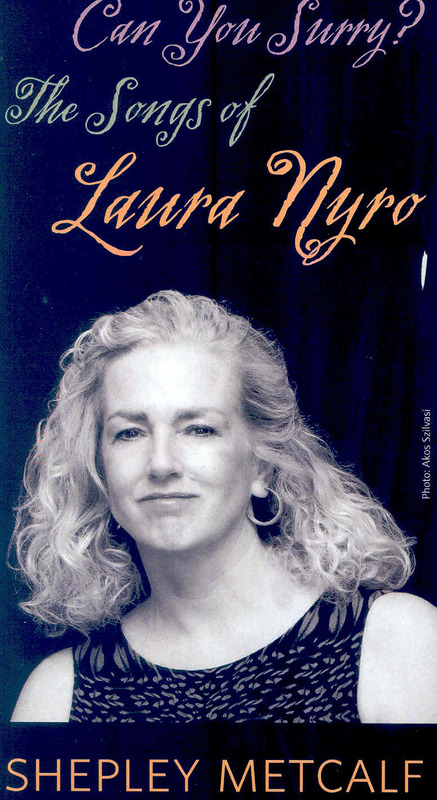 Since the subject of Barbra Streisand may be on the minds of people shunning the “Barclay’s” arena environment, we might note that Streisand, a Nyro fan, covered Nyro’s above mentioned, “I Never Meant to Hurt You.” Streisand also famously covered Laura Nyro’s “Stoney End,” even giving her twelfth album the name of that song which album also has Nyro’s “Time and Love” and “Hands Off the Man (Flim Flam Man)”. 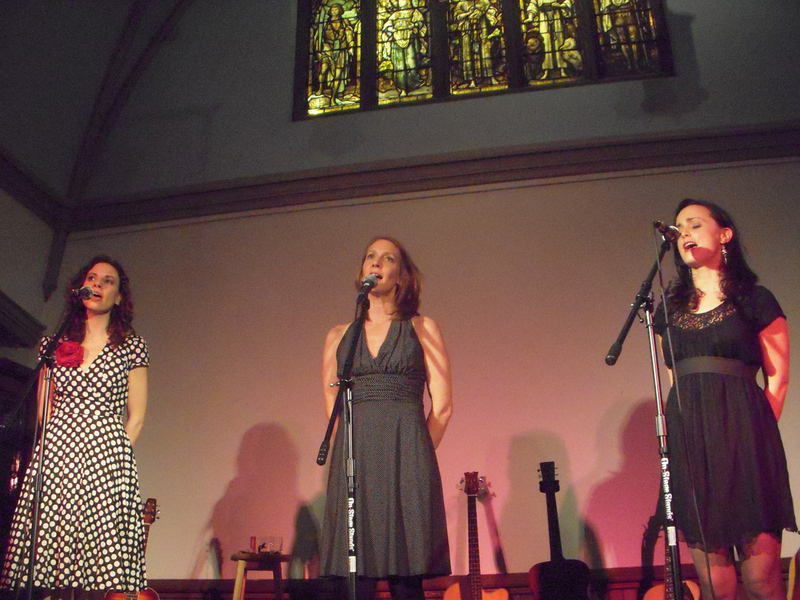 Below is a video teaser for Shepley's upcoming Nyro song gig at the Metropolitan Room. Tickets are now ready for purchase from the Metropolitan Room by calling ( 212-206-0440) or visiting the web. If you are one of those deciding to patronize the arena and decide to also come to any of these performances you will probably realize that, with them, you are getting far better value and a much more intimate venue. If nothing else the water is vastly cheaper than $4.50 water bottles they are selling at the arena. The water at First Acoustics, like the water at Freddy’s Bar (a local music venue the arena displaced through eminent domain abuse) is free. I haven’t checked but New York water is likely also free at the Metropolitan Room. The tickets at the Barclays (and all the other associated charges- whether or not you expect them) are expensive, expensive enough so that you may feel fooled and foolish paying them. . . 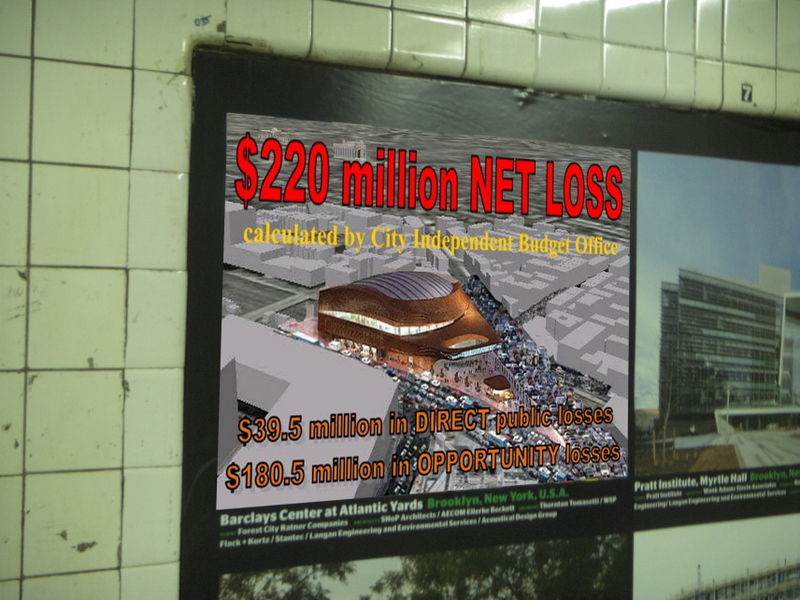 But the thing to remember is that with all the public subsidy that Ratner and Prokhorov are pocketing and the harm they have caused the community, every ticket the arena sells actually costs a lot more. The fact of the matter is that not everyone has to shun the arena in order for it to fail: Lots of people can go to it, lots of performers can decide to perform there, putting subsidy in the Ratner/Prokhorov pockets. But profits are made at the margin. All it takes is for a reasonable percentage of possible patrons and quality performers to shun the arena for what it is and represents, and it can go down in a well-deserved spiral of decline. President Barack Obama appeared on Jon Stewart’s Daily Show last week and at about thirteen minutes into the program (6:05 in this video) he stated clearly what he said was “the most important thing is when you think about the economy” and what he said was “the central issue in this election” which must be addressed. And then President Obama rejected as detrimental to the nation’s economic growth the paradigm that fundamentally underpins the creation and extraordinary government assistance to the Bruce Ratner/Mikhail Prokhorov-owned “Barclays” Center and the larger Atlantic Yards mega-monopoly of which the Jay-Z-promoted “Barclays” Center is a part. The Atlantic Yards mega-monopoly and the so-called “Barclays” Center that spearheads it is a glittering example of what not to do if the economic precepts cited by Obama are of concern to anyone. As I keep saying: The heaped-up gleam and glitter of the “Barclays” Center seized and hoarded by the wealthy Ratner and Prokhorov, just like a folkloric pirate treasure chest, symbolizes exactly this kind of piled-up, economy-destroying redistribution of wealth. And it is because of the huge amount of public subsidy that has been directed into the “Barclays” Center that, when Barbra suggested that I send money to support Obama and his agenda, I, in turn, suggested that Ms. Streisand write a $700,000 check to compensate the public for all the subsides that went to Ratner and Prokhorov for her two concerts at the arena. The most important thing is when you think about the economy, I am absolutely convinced that, when you look at the historical record, that when middle class families do well, when there are ladders of opportunity for poor families to get into the middle class, the entire economy does well, and when a few folks are doing very well at the top and everybody else is getting squeezed the economy grows slower. And that is the central issue in this election that we've got to make sure we address. I know that not everybody is always going to follow through to make all these connections. . .
. . . The New York Times as a prime example doesn’t make such connections and is unlikely to observe how all of the following, to compile just a short list, are all of a piece with the preferential transfer of wealth to Ratner and Prokhorov going on in Brooklyn: The fact that, despite what Romney initially told the public, his tax liability for 2011 turned out to be a mere ten percent; that the wealthy pay proportionately less (increasingly so) of their income into the Social Security System but are taking escalating benefit from it, the harm to the public from the ongoing Barclays LIBOR scandal and the Times ongoing reality and fact-skewing promotion of Jay-Z and the “Barclays” Center. I know also that politicians don’t also follow through on all the precepts they express when running for office. . .
. . . But isn’t it interesting that Obama in a tight, hard-fought election rejects the foundational underpinnings that brought us the “Barclays” Center and Ratner’s Atlantic Yards mega-monopoly? The “Barclays” Bank name comes up again, yet one more time in unflattering context, in another New York Times article. This one is about investment bankers behaving badly in the context of hydraulic fracturing or “fracking.” The gist of the complaint about investment bankers is that they have been making some quick bucks treating those investing in that new drilling technology very unfairly. . . and how that is leaving them in the financial red. While an investment banker working for Jefferies & Company, another banking firm, gets most of the article’s negative attention, Goldman Sachs earns some focus for behaving. . . well, like Goldman, all over again. Let’s mention that Goldman was involved in financing the “Barclays” Center with tax-exempt bonds. the boom and bust in gas were driven in large part by tens of billions of dollars in creative financing engineered by investment banks like Goldman Sachs, Barclays* and Jefferies & Company. It provides plenty of unsavory details describing how “Wall Street deal makers . . . play a vital, though less visible, role in the nation’s surging energy production” much of it, you will conclude as you read through the article, by treating investors with calculated disregard. For more on this as well as thoughts about what the Times this time glosses over about the detrimental effects of the fracking industry in general and the particular negative implications that loom as fracking companies now face bankruptcy see: Tuesday, October 23, 2012, Investors Discover That Fracking Costs Exceed (In The Not-So-Obvious Way) Expected Financial Benefits: What The New York Times Fails To Say. When I came out of yesterday evening’s Atlantic Yards Quality of Life Committee meeting I wasn’t going to write anything about it. Of course there is going to be awkwardness and impacts to the community concerning the operation of the Ratner/Prokhorov so-called "Barclays" arena for which several city blocks were conjoined and certainly an aggrieved community, not enthusiastic bout the arena’s arrival, would be eager to complain. . . .and surely Atlantic Yards Report could be counted upon to quickly provide detailed coverage of the meeting. But when I slept on it I thought: Why not just hit the highlights with a few bullet points? That shortened format might help to call attention to the fact that the community’s list of gripes about arena operation is long and that almost all the problems in evidence relate back to the state decision (endorsed by Bloomberg) to override zoning restrictions and shoehorn an arena in closer than 200 feet to the brownstone neighborhood residences of the vicinity. Besides, whatever Atlantic Yards Report may faithfully chronicle in fastidious detail, the rest of the media seems intent on ignoring the arena’s many negatives. • Public Urination. There is much reported (and officially acknowledged) public urination on the streets around the arena. There was also one reported incidence of defecation. Forest City Ratner is willing to assume responsibility for dealing with (via extra lighting) and cleaning up after the urination in the doorway of Modell’s sporting goods store because Modell’s is their tenant, but was quick to point out that nearby townhouse owners were responsible for their own cleanup. There was also complaint about clothing being changed in public. • 311 Complaints. The Mayor’s office is likely responsible for the fact that the city’s 311 system has adopted an official policy of refusing to take any complaints about the publicly sponsored, publicly funded arena, deeming it to be a matter for private resolution with arena officials. Several times the community representatives complained that there was no way to document incidences of complaint (and presumably also ensure followup) as well as it’s being unclear who (amongst a long list of potentials) should be contacted about what. Right now the answer seems to be that lots of people need to be contacted about most problems. Forest City Representatives indicated they don’t consider they can respond to, or be responsible for, anything about which they are not contacted about directly. • Backed up trucks loading the arena. Truck loading and unloading for the arena is not functioning as anticipated, resulting in backing up on local streets and idling trucks. A Forest City representative suggested that this was partly because the arena was opened and its operations started before the arena was fully complete so that they haven’t been able to properly utilize interior space as planned. • Black car management. Black car management is an issue. No one knows where all the backing up black cars should be sent. Although a community representative pointed out that the need to deal with black cars must have been anticipated, the arena officials are only now trying to figure out a plan that will work to address the issue. Apparently, there were lots of black cars for the Barbra Streisand concert. • Assaultive Advertising Oculus. The arena oculus’s illuminated advertising screen with all its bright billboard animations gets left on overnight and when people forget to turn it off as they leave there is then no one there to turn it off. In theory it is supposed to be turned off from 1:00 AM to 5:00 PM. Arena officials had no explanation for the community as to why the oculus needed to operate as late as 1:00 AM or start as early as 5:00 PM in the morning instead of providing for a more extended period of quiet respite from advertising. Arena officials also could not say whether they had contractual commitments affecting when they planned and needed to run the oculus. Light from the oculus is most broadly transmitted through the neighborhood when light from the oculus hits mist or fog and lights up the sky. I found it pathetic when one neighbor said she could accept the advertising light coming in her residence window but just wanted to plead for better, more soothing and restful advertising, eliminating pulsating flashing lights that many ads in the oculus use. She said found living with the Barbra Streisand advertising was the easier variety to endure. • Laser light show complaints. Arena officials, seeming somewhat abashed (an odd instance of this) could not explain what the laser light shows from the top of the arena were all about. They said, however, they were just for the opening of the arena and wouldn’t happen again. • Arena playing music for plaza crowds. It looks like the operators of the arena have been violating city law by playing music for the crowds outside the arena. They said it was news to them that they might need a permit for this. They also suggested that they didn’t think they needed a permit because they weren’t actually the ones playing the music for the crowds in the plaza, that it was their building that was playing the music for the crowds in the arena. • Nearby Modell’s sporting goods store playing music for outside crowds. Modell’s, the nearby sporting goods store that is a Forest City Ratner tenant, seems to have gotten into the concert spirit and is also now playing music outside their store. Apparently they have been repeatedly told not to do this and gotten violations which they may be ignoring as fractional cost of generating extra business. • Truckers that don’t obey truck route and other rules. Arena officials complained about how little control they had over teamster truckers who were choosing to ignore their directives to follow rules. (There was discussion about how “big” you had to be to effectively communicate with these truckers. One community representative asked if this was to be interpreted to mean that, because the arena officials professed not to have control, the community should expect that it, in turn, had no control through those officials. Could be. Seems so. It was asked whether ESD, the state agency that granted all the overrides of local controls to make the arena possible, had any control over the arena officials, if so, what kind of control. Could be. • Sound emanating from concerts escaping into the neighborhood. There are different kinds of sound that can escape from the arena concerts. A police official (worried about providing TMI) said that legally they fell into five categories, four of which were actually relevant. She characterized the Jay-Z concerts as having something called “bass prevalent” sound. Windows are reported to have been shaking from the bass a full block away. Officials who showed up at nearby residences to monitor sound froma Jay-Z concert reportedly elected to leave again before the concert started: Jay-Z likes to start his concerts long after the official starting time. Questions were raised about whether something was wrong with the arena’s sound proofing and insulation. The representative from the state agency that sponsored the arena and permitting its overrides said she was confident in the arena work that had been done to date. • Illegal substances being consumed in arena. Apparently people have been smoking pot in the arena during concerts. • Unclear what police resources are being devoted. City Council member Tish James thought that, at one point, about 150 officers had been devoted to a concert. A police representative said it was a number more nearly less than half that. Maybe the answer is that the number is closer to a 150 if you include transit police in the overall figure as well and maybe DOT officers. Based on what I saw I think this might be a good guess to explain the differential in the numbers offered. But the numbers of police that will be devoted to concerts is uncertain and will probably vary. • Crowded subway stations. Subway station platforms are reportedly very crowed when arena patrons surge out. One community representative said the crowding was dangerous enough so that there were those who felt they had to exit the station rather than continue ot wait for a train. WNYC’s Transportation Nation reports that LIRR crowds for the Streisand concert were more than four times what is normal and subway ridership was also substantially up. Running more subway trains was suggested. • Illegal parking and idling. Arena patrons are supposed to be grabbing local parking spots whether legal or, as where hydrants are, illegal. Cars are also idling, without parking, adding to pollution. 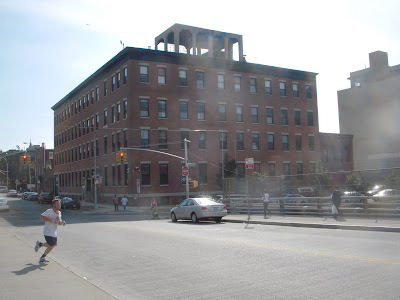 Tish James said that Fort Greene and South Portland street were getting the brunt of these problems. • Previously undisclosed parking pad next to the arena. Apparently there is a parking pad being used next to the arena that the community was not told about beforehand. The community complained that this meant a presumed buffer was nonexistent. Arena officials said the parking pad was required by the NBA for visiting team buses (but should it get other use as well?). • Sanitation. Sanitation was not reported to be that much of a problem but the arena has attracted lots of food trucks, resulting in potentially rat-attracting trash and there is no easy way to ban the licensed food trucks from the area. • Unlicensed vendors creating bazaar. Apparently the arena has also started to attract unlicensed vendors so that something of a bazaar is beginning to form around the arena. Forest City Ratner and arena officials suggested that they only have to deal with what they consider “kinks,” that they should be viewed with some tolerance as being a “start-up,” and that it should be remembered that so far there have been only two concerts to evaluate. On the other hand, one community representative warned that Lady Gaga would be showing up with a somewhat startling 45 semis when she comes. And if Davidson is to consider his own point that preserving a neighborhood means paying attention to “the economics of it” and “the character” of a neighborhood (presumably with respect to its interwoveness with the rest of the city), then he should note that what was cleared away at the “Barclays” site just to make way for arena included, but was not limited to, Freddy’s, a neighborhood bar and music venue, and two large newly renovated condominium buildings. Freddy’s was an anchor and a gathering place generating neighborhood connection. The two condominium were also more important than just what they were themselves: They set the tone and example for development that was taking off in the neighborhood, something the Ratner organization elected to wipe out because it was competing with its own properties which Ratner wasn’t developing at the time. In praising the character that the “Barclays” Center is bringing to the neighborhood, Davidson is praising a top-down corporatizing of a previously locally energetic Brooklyn. It is being done with government assistance that makes everyone else pay for this takeover by the corporations. And it is not just from the Barclays site that Ratner cleared and scooped out existing neighborhood fabric: The same thing was done in the larger Atlantic Yards site where you now see newly created superbocks of Ratner parking. That Davidson thinks there was nothing of character in the neighborhood before, and that he now predicts that, probably playing out “over many years,” the Atlantic Yards mega-project will be built because, “I mean a site that open just can’t stay open forever in New York City” only serves to emphasize how smart Ratner probably thought he was as he raced to dismantle and demolish as much of the neighborhood as quickly as possible (buildings like the historic Ward Bakery building that would have ben exquisitely repurposed, except for Ratner) so that people like Davidson would buy into and promulgate the official Ratner narrative. As for the idea that the site plan for Atlantic Yards somehow hews to (or is legally obligated to follow) any vestige of a Gehry design is ludicrous. Even on the "Barclays" block, where the first of the construction is occurring, virtually nothing hearkens back to any sort of Gehry influence. What actually carries over are the things that reflect the marching orders Gehry got from Ratner: To squeeze in an unprecedented amount of density and close down the streets, avenues and sidewalks, creating superblocks, to get even greater density than otherwise possible. It would be nice to believe, as Davidson posits, that there is some sort of envelope of constraining obligation that affects Ratner but that isn’t the case, especially since Ratner has been granted a mega-monopoly with which negotiation is a practical impossibility. Every time Ratner comes back to government officials looking to change his deal he gets more subsidy and diminished obligations to the public. Architects discuss access points, sidewalk widths, ceiling heights, flower beds, and the qualities of crushed-stone pathways. You could almost forget that none of this exists yet—until one architect points to a lozenge-shaped skyscraper and casually, with a twist of his wrist, remarks that he's thinking of swiveling it 90 degrees. It’s not any different with Atlantic Yards at this point either. This week’s New York Magazine presents us with Justin Davidson’s “exclusive preview” of Hudson Yards: From 0 to 12 Million Square Feet, published Oct 7, 2012. The plans include drop-off lanes, so the limos are taken care of. But if the shopping-cart pushers, buskers, protesters, skateboarders, and bongo players start feeling too welcome at Hudson Yards, Related’s security guards will have a ready-made argument to get them to disperse: This is private property. The thing to note is that all the valid concerns in the Davidson review, including this one, respecting the 26-acre Hudson Yards project also apply (and get focus on from Noticing New York) in terms of Forest City Ratner’s Atlantic Yards mega-monopoly but there is no mention of this by Davidson. In fact, the language of the Davidson article is frequently written in a way that seem to imply that the sister mega-project Atlantic Yards must not even exist, this right at the same time as all the current hoopla accompanying the opening of the first Atlantic Yards building, the so-called “Barclays” Center, and just weeks after Davidson’s own New York Magazine review of that “Barclays” Center in an issue if the magazine featuring a cover story about the arena’s debut. 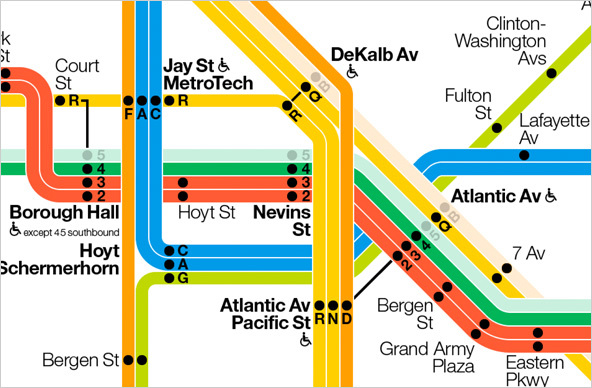 The New York Magazine description of Hudson Yards as a “Mega-metropolis” is reminiscent of Noticing New York’s regular description of Atlantic Yards as a “mega-monopoly.” Compared to the 26-acre Hudson Yards, the Ratner mega-monopoly, placed atop the converging ganglia of Brooklyn’s most important subway lines, consists of 50+ acres. Most of those Ratner acres are contiguous, a contiguity achieved through government assistance; eminent domain abuse for their acquisition by Ratner and subsidy for his continued ownership. At the Atlantic Yards site itself there are more than 30 contiguous Ratner-owned acres. The Atlantic Yards site itself is nominally just 22 acres, but that doesn’t change the fact that with the adjacent property already owned by Ratner when he decided to wipe out competition in the neighborhood (via eminent domain), it’s 30+ contiguous acres all together. And the Forest City Ratner overall plan concerns the entire 30+ acres. The other thing that makes the Ratner mega-monopoly comparatively more extreme is the immense jump in density preferentially assigned to the Ratner-owned property over that of his neighbors. Not so with Hudson Yards: Hudson Yards is only slightly more dense than its surrounding neighborhood. * The Hudson Yards density is odd because the greater density the neighborhood ought to be the property closest to the subway lines, but the oddnesses are not so nearly as odd as the extremely preferential density being granted Ratner with an override of city zoning that was not subject to traditional public review. I have presented Noticing New York criticisms of Hudson Yards but in many ways the government handling of Hudson Yards is significantly superior to Atlantic Yards. Hudson Yards was subject to a fairly careful competitive bid: Atlantic Yards was not. The MTA got what was probably the best price that could be gotten for Hudson Yards, given the way the request for bids issued was structured: Not so Atlantic Yards where there was what was essentially an escalating giveaway by the MTA to the developer on multiple fronts. In terms of design caliber I also thought that the Related Companies proposed design for the Hudson Yards site was one of the better designs. . . Not the best— I thought that the design presented by Brookfield Properties* was the best— but better than the poor design of Tishman Speyer, the company that first won the right to Hudson Yards acres and then defaulted on fulfilling the terms of their bid. Just the way that real estate developers create value by subdividing property, had the government subdivided Hudson Yards (and Atlantic Yards) like what was done with the Battery Park City site, the cumulative amount government would get for the acreage it sold would be far greater. Strip things down to their core and you find that something is being sold. What is being sold is what belongs to public. 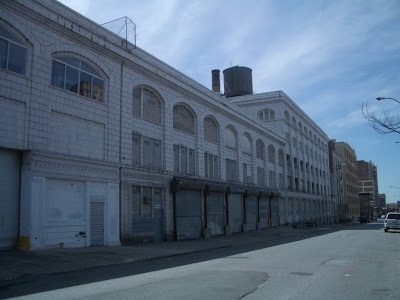 Sometimes it is referred to as the “public realm.” That means such things as the right not to have our streets and avenues closed and sold off, the right to our historic neighborhoods, the right to good urban design, livable density and the right not to have our parks or amusement areas like Coney Island given away for development or speculative purchase. Net Net: By subdividing properties like Hudson Yards and Atlantic Yards to be bid out and developed by multiple developers the public gets: 1.) Faster development, 2.) more money for the land it is selling, and 3.) better design. • New York has no precedent for such a dense and complex neighborhood, covering such a vast range of uses, built in one go. What about the bigger and more intrusive Atlantic Yards? What about the huge amount of subsidy going to Atlantic Yards? It’s hard to do apples to apples comparisons but $2-$3 billion in subsidies are going to Atlantic Yards. • [On squeezing suitable public open space in amongst oversized skyscrapers] That’s a spectacular challenge; there are few great models for a European-style piazza within a ring of skyscrapers. • Bloomberg hoped to draw the 2012 Olympics to New York with promises of a West Side stadium. The fact that London won the games was a disappointment to him but a stroke of luck for the West Side, scuttling what would have been a disastrous stadium plan, while at the same time calling attention to the value of the real estate above the tracks. What about Atlantic Yards that jammed a sports arena into the middle of conjoining brownstone neighborhoods and overriding city ordinances that should have required at least 200 feet of distance between such an arena and residences. The West Side stadium wouldn’t have done that. • The site as a whole is a yawning pit, not so much a blank slate as an empty socket, surrounded by amenities and infrastructure just waiting to be plugged in. What about Atlantic Yards? Don’t people need to be reminded that the Atlantic Yards footprint, by comparison, wasn’t “an empty socket,” that 60% of it was a neighborhood that was a mixture of valuable historic buildings, busy business, and a lot of recent new development, all of which was scooped out and thrown away to make way for Ratner? The Davidson article is full of good points and presents much to mull over, but as with so much in life what isn’t said may be more important than what is said . . . Interesting in an article that buttons up its ending with concluding statements about the value of free speech when its exercised!